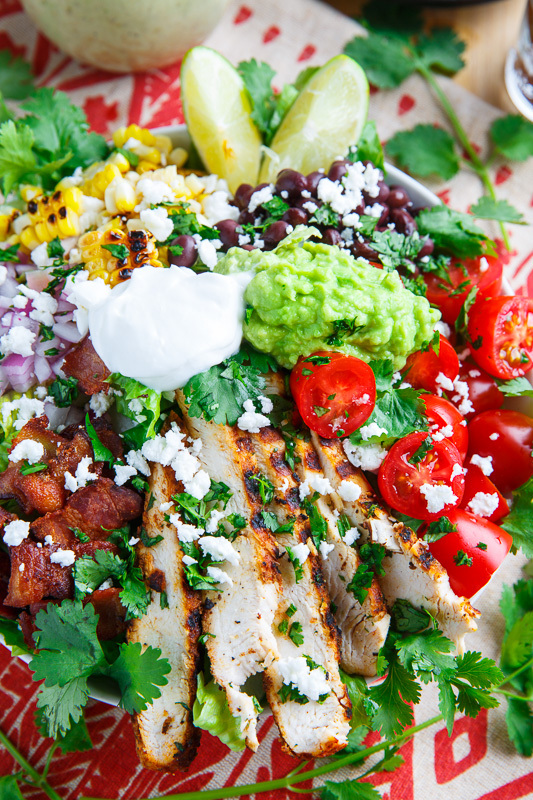 A Texmex themed taco grilled chicken salad with corn, black beans, tomatoes, avocado and bacon in a creamy salsa verde dressing! 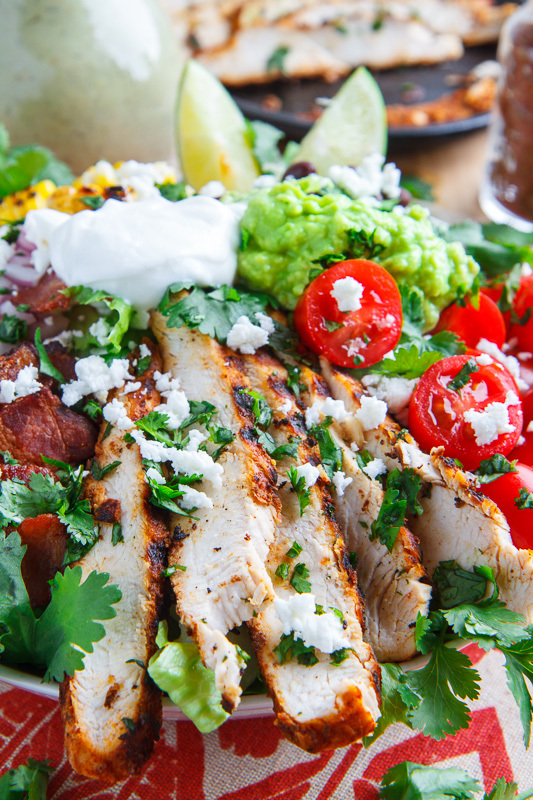 Summer’s not over yet and there is plenty of time for another salad like this texmex grilled chicken salad in creamy avocado salsa verde dressing! 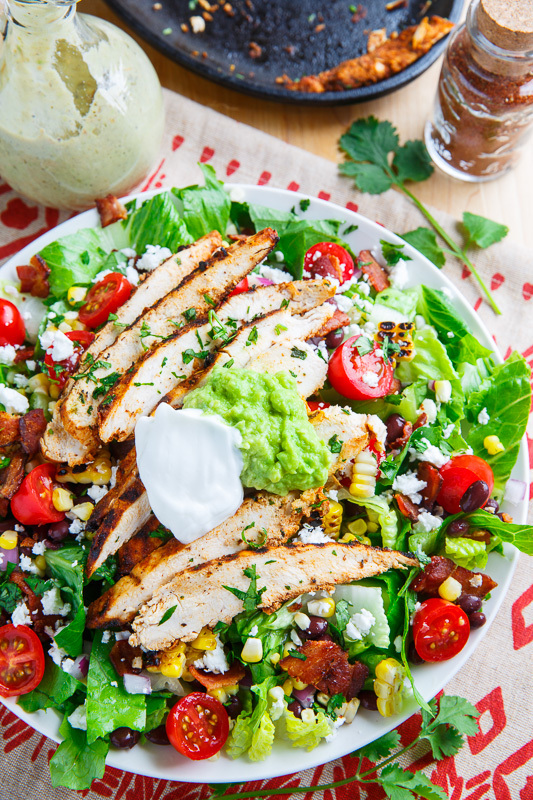 This salad is a texmex themed salad with taco lime grilled chicken, grilled corn, black beans, tomatoes, avocado and bacon in a creamy avocado salsa verde dressing! 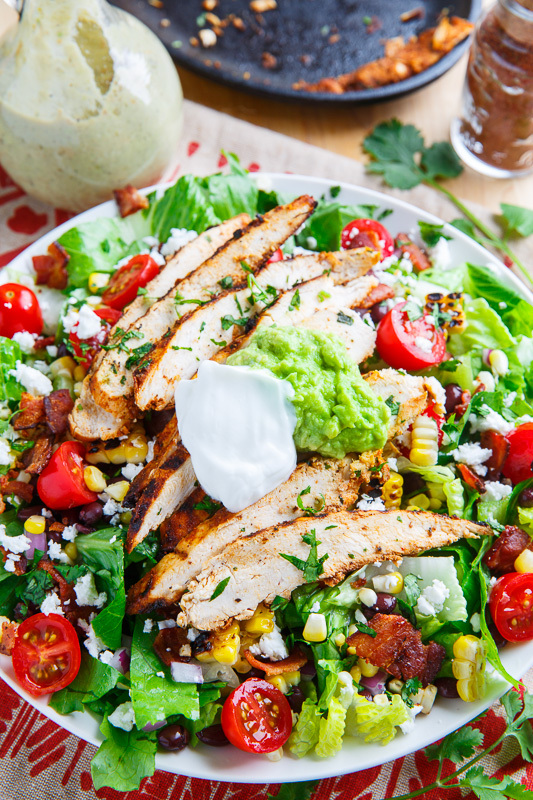 This salad does not take much time to make, you just need to grill the chicken, cook the bacon, assemble the salad and toss it in a dressing and if you grill the chicken and cook the bacon ahead of time it gets even easier! There are so many amazing flavours packed into this salad that work so well together and it is definitely calling my name! 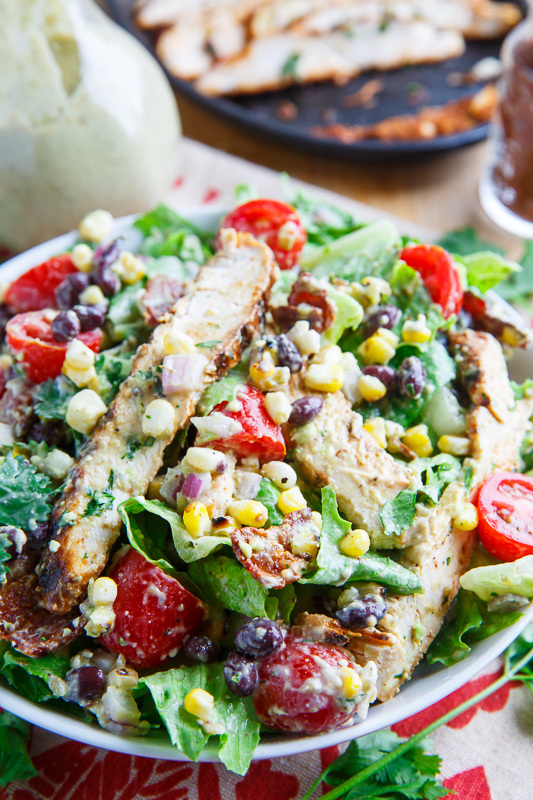 This texmex grilled chicken salad in creamy avocado salsa verde dressing is the perfect way to enjoy the last days of summer! 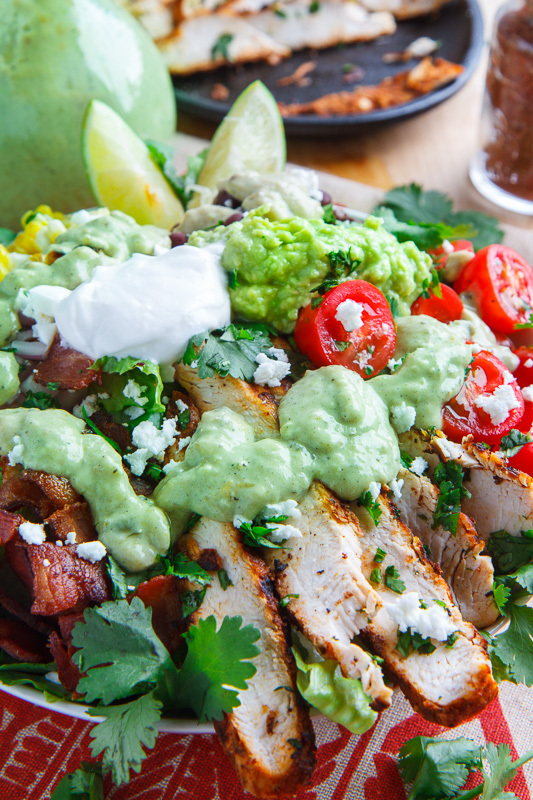 With the creamy avocado salsa verde dressing! This salad is just packed with flavour! This salad looks so incredible! I love all those colors! Looks like a great filling salad! obsessed with the creamy avocado salsa verde dressing!! Amazing recipes. It looks so delicious.